According to the implementation of the “Beijing shi wei boke fazhan guanli ruogan guiding (Regulation on mirco-blog in Beijing)” , the real-name authentication will be executed by the four popular microblogs in Chin a on March 16. They include Sina (weibo.com), Sohu (t.sohu.com), Netease (t.163.com) and Tencent weibo (t.qq.com). Although this system claims to be “voluntary”, old users without real-name authentication are unable to post and forward messages. They can only browse contents on the bolg. Fang Binxing, known as the “father of China’s Great Firewall,” recently recently made a speech on “The future of Internet security” which justifies the development of national network or national intranet by stressing the rights to Internet Sovereignty. Since Fang Binxing has great influence on the development of Internet infrastructure and censorship system in China, his speech may imply the future plan of the China Intranet. Even though IP is still being blocked currently, domain name is still being filtered as sensitive words, DNS is still contaminated, pictures may not display properly although they are stored in Flickr. There is no doubt, Weibo is currently the most discussed topic about China’s Internet applications. 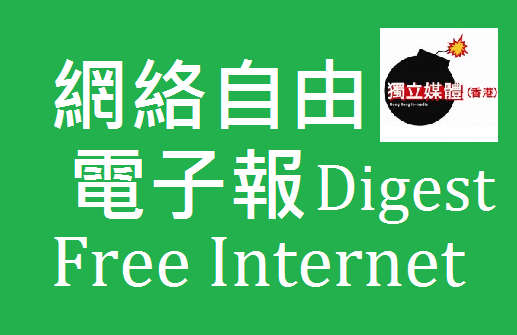 As long as you connect to the Internet in China, you will have direct or indirect contact with it. At the beginning of the year, the Office for Personal Data Protection of Macau government issued the Guidelines on Publication of Personal Data on the Internet. In addition to include individual identification information, private life, medical records and other information as “personal data”, the guidelines also consists of “data revealing philosophical or political beliefs, political society or trade union membership, religion and racial or ethnic origin.” The Guideline states that except the consent of the litigants has been acquired or their information been published, any sensitive information cannot be publicized. Daily practice on the internet today could infringe Personal Data Protection Act. Therefore people who concern with freedom of speech requested amendment of the Guidelines. Wikipedia’s homepage for the 24-hour blackout. A West Australian IT professor has joined a worldwide chorus of internet heavyweights including Google, Wikipedia and Facebook in protest of two United States’ bills aimed at curbing web piracy. Curtin University Information Systems School head Peter Dell said the affects of the proposed Stop Internet Piracy Act and Protect IP Security Act could be “catastrophic" for other social media sites like Facebook. Traditional big media firms have contributed more than $5 million to the sponsors of the Stop Online Piracy Act, with California Democratic Reps. Howard Berman and Adam Schiff as the top recipients. The bill, known as SOPA, would strengthen and extend the penalties for online copyright violations, and could force websites hosting pirated content to come down or prevent search engines from sending users their way. Legacy media companies stand to benefit if there’s less unlawful movement of their content on the web, like pirated movies and songs for download. As we (Twitter.com)continue to grow internationally, we will enter countries that have different ideas about the contours of freedom of expression. Some differ so much from our ideas that we will not be able to exist there. Until now, the only way we could take account of those countries’ limits was to remove content globally. Starting today, we give ourselves the ability to reactively withhold content from users in a specific country — while keeping it available in the rest of the world. Another day, another government trying to figure out how to censor the internet. This time it’s India, where acting communications minister Kapil Sibal is meeting with officials from Google, Yahoo, Microsoft and Facebook to pressure them to self-censor user content, the New York Times reports. The issue is that someone wrote something mean about a politician, Sonia Gandhi, on her Facebook page.